As one of the top Chicago wedding photographers and Geneva wedding photographers with over 25 years of experience in the world of photography, I figured that, as a newly engaged couple, you may not know the in's and out's of choosing the best Geneva wedding photographer for you. For this reason, I have put together my top 3 points that I believe all couples should consider when they are looking for the best Geneva wedding photographer. While I am physically located in St. Charles, I would consider myself a Chicago wedding photographer. I also have plenty of experience as a Wheaton wedding photographer, Naperville wedding photographer in surrounding cities such as Batavia, Elmhust, Schaumburg, Arlington Heights, Oak Brook, Barrington, Hinsdale, Libertyville, and Lake Forest. 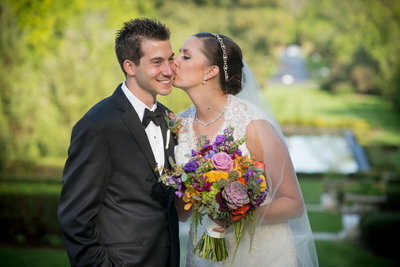 As a professional DeKalb photographer with 27 years of working experience at the local newspaper, I would describe my wedding photography style as photojournalistic and documentary. As your Chicago wedding photographer I will strive to capture each moment of your day exactly how it happened. PERSONALITY All St. Charles wedding photographers are gifted with a unique personality as are all Chicago wedding photographers. Not one of us is like the other. This also means that not ever Geneva wedding photographer or Wheaton wedding photographer or Naperville wedding photographer and so on will be the right personality match for you. Your Geneva wedding photographer will likely spend the majority of your wedding day closely by your side. Imagine spending so much of your special wedding day with a wedding photographer whose personality you absolutely can not stand to be around. This has potential for you to associate your professional wedding photos with the bad taste that your Geneva wedding photographer left you with. How awful would it be to be reminded of the wedding photographer that you can't stand every time you look at your wedding photos? This can be avoided! 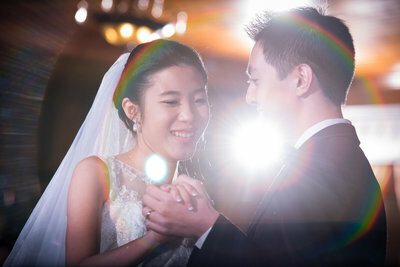 Find a Chicago wedding photographer or Geneva wedding photographer whose personality you enjoy. STYLE Much like personality each Chicago wedding photographers stylistic approach is completely unique from one professional wedding photographer to the next. Style is something that is always evolving and changing as professional photographers get more experience under their belt. As you might imagine, a new photographer who is just starting out may use lots of experimentation when it comes to composition, posing, and post processing. They need lots of guinea pigs to gain experience and find out what works and what doesn't. If you're ok with being someones experiment then choosing a Chicago wedding photographer or Geneva wedding photographer with very little experience may be an ok decision as you will likely not be too concerned with the final outcome. 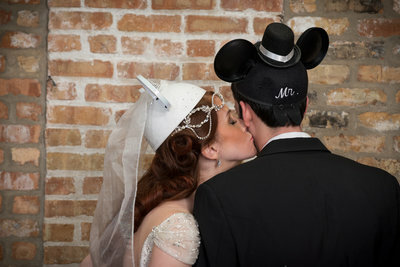 I always suggest that my couples look at many of my full wedding galleries from Chicago weddings or Geneva weddings. I want them to pay attention to the consistency between my photos. Specifically the posing, the composition, and the post processing/coloring/exposure in the end result. When you see lots of consistency from one wedding to the next you can rest assured that you will know what the outcome will be with your final Chicago wedding photos. Find a photographer whose style you really identify with. You will be left to look at your wedding photos for decades. Make sure you will enjoy looking at them and have no regrets about whose style you chose. BUDGET Finally, we get to the part about money. I will not suggest you go the cheap route. If you are leaning towards hiring a family friend who doesn't have wedding photography experience but are drawn to the style of other photographers who may cost more than your family friend, I would strongly suggest you consider the end result. You will likely get what you pay for when it comes to wedding photographers in Chicago, Geneva, or Wheaton wedding photographers. Remember that your wedding photos are your document of ONE day in your history that will live on for generations. This is ultimately an investment for your future generations as they will be the ones left with images of you to remember exactly how you looked on this one magical day. Find the Wheaton wedding photographer, Chicago wedding photographer, Geneva wedding photographer, and Naperville wedding photographer whose personality you adore, whose style you can not live without seeing on a daily basis, and then you design your photography budget around THAT photographer. I would love to answer any other questions you have about Chicago wedding photography or Geneva wedding photography. Please feel free to contact me to learn more.